Concern is mounting in Haiti as Hurricane Matthew edges closer to the Caribbean nation. Traveling at seven kilometres an hour, the hurricane is bringing 230 kilometre-an-hour winds and heavy rain. It is the strongest storm to menace the Caribbean since 2007. The centre is expected to make landfall near southwestern Haiti and Jamaica late on Monday. Haiti is vulnerable to disasters due to a combination of weak government and precarious living conditions. More than 200,000 people were killed when a seven-magnitude earthquake struck in 2010. The storm comes at a bad time for the country. A long-delayed election is due to be held next Sunday. 1,300 shelters have been set up with the capacity to hold 340,000 people. Haitian officials say around 2,000 residents of the La Savane neighbourhood of Les Cayes are refusing to heed government calls to move out of their homes. The power has reportedly gone off in the town. The chief of police says it is impossible to force such a large number of people to leave their homes. “I would have to arrest all those people and take them to a safe place, this is very difficult,” Luc Pierre told reporters. The neighbourhood is just a few miles from where the centre of the hurricane is forecast to make landfall. Some streets are already flooded in Les Cayes, a town of around 70,000 people. Officials are scrambling to protect the vulnerable from the worst of the coming storm. Residents have boarded windows and are stocking up on essentials in supermarkets. Some have even taken refuge in a network of caves. Matthew is around 415 kilometres southeast of Kingston on Sunday evening. The hurricane centre has ranked the storm at Category 4 on the five-step Saffir-Simpson scale of hurricane intensity. It is expected to turn to the north overnight. 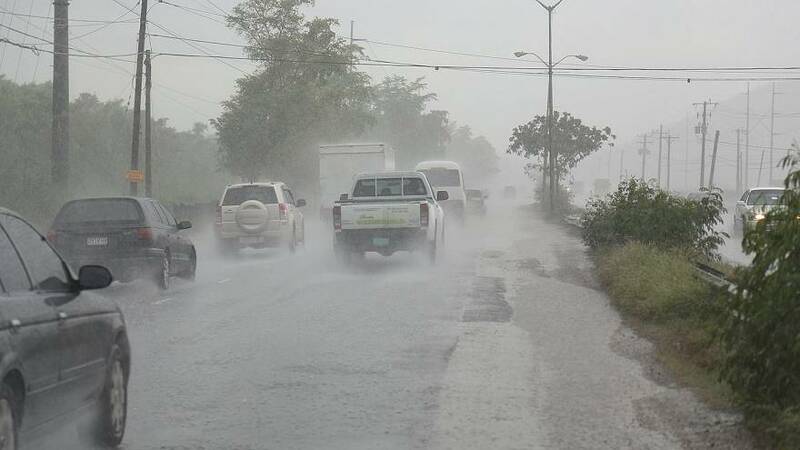 Eastern Cuba is expected to feel bands of fierce wind and rain. Cuban President Raul Castro is warning that Matthew is stronger than Hurricane Sandy, which devastated Santiago de Cuba in 2012. The US is airlifting around 700 spouses and children to Florida from its Guantanamo naval base. Prisoners and service personnel will remain. “We are worried about the slow pace of Hurricane Matthew, which will expose Haiti to much more rain, and the country is particularly vulnerable to flooding,” – Ronald Semelfort, director of Haiti’s national meteorology centre. “The police and local authorities and our evacuation teams have been instructed to do all they can to move those people, by force if necessary,” – Haiti Interior Minister Francois Anick Joseph. “There are babies crying here, there is nothing at all,” – 32-year-old Nadja, pregnant with her fourth child.